Silver Charms – 3 of your choice. Please enter your charm choices in the box below. 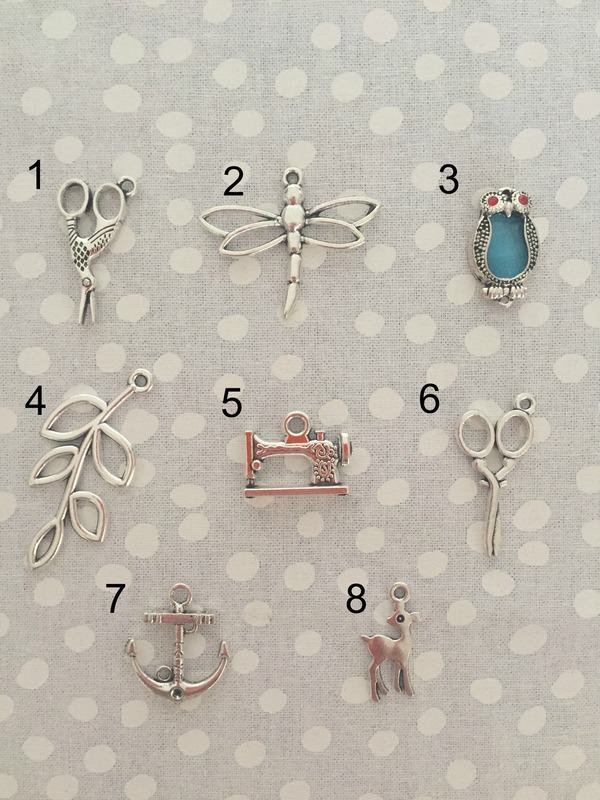 Sweet silver charms to add to your zippers or jewellery. Each one comes with a jump ring for easy attachment. Charms range in size from 1.5cm (3/4″) to 3.5cm (1.5″). Choose three different charms or choose multiples of your favourite!